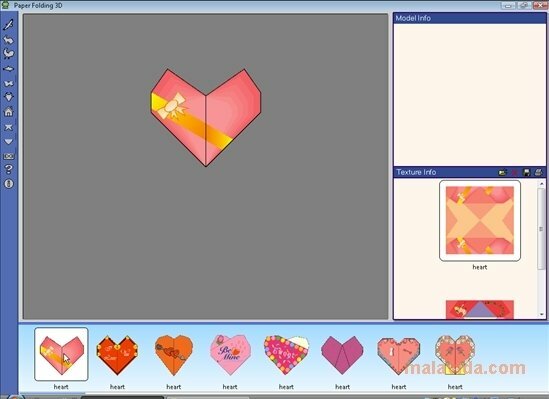 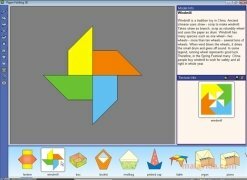 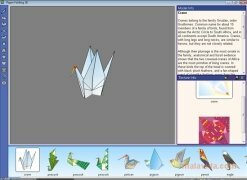 Paper Folding 3D is an Origami software with which you'll be able to create paper figures with great ease. 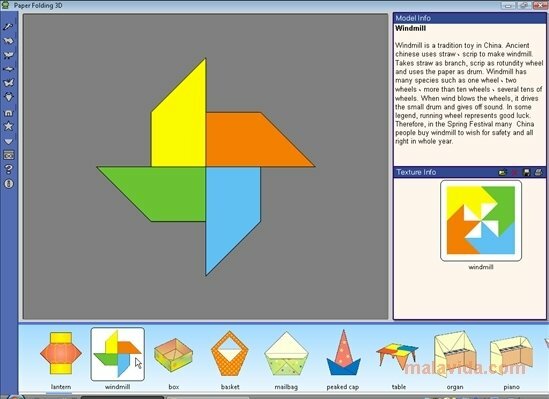 It will offer you the possibility to create your own figures and print them to give them shape later, even though it also includes preset models that can be used as a starting point. 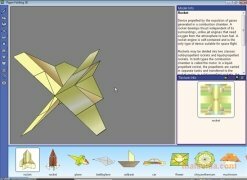 This application has 90 preconceived models, although you'll be able to create your own models. 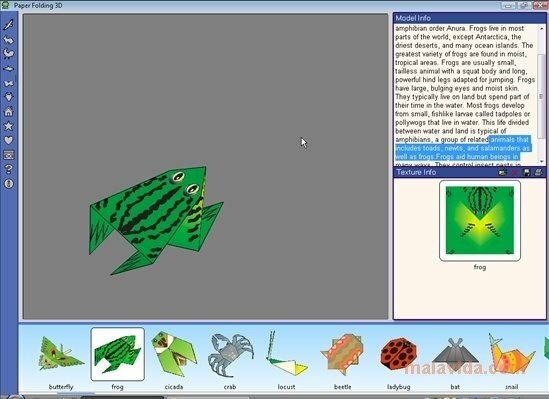 They are classified into different categories depending on their nature, with the possibility to see each category on the left of the interface, and you'll be able to see a 3D view of each one of them before starting to work. 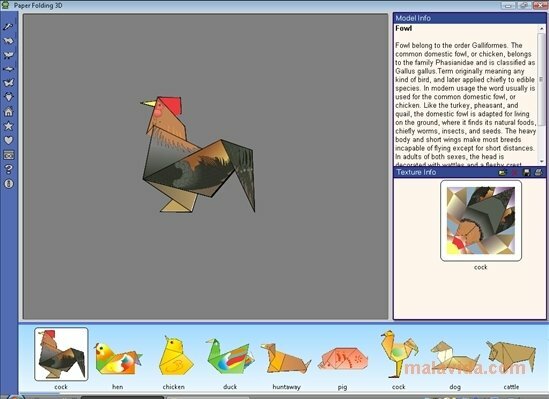 The program will allow you to move the figure in all directions, so that you'll be able to have a clear perspective of any of its sides, as well as being able to zoom in so as to make sure that you don't miss any detail. 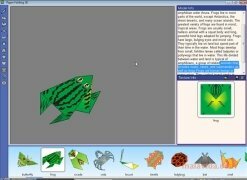 With a simple double click on the figure that you're interested in you'll have access to a complete animated guide on how to create your figures. 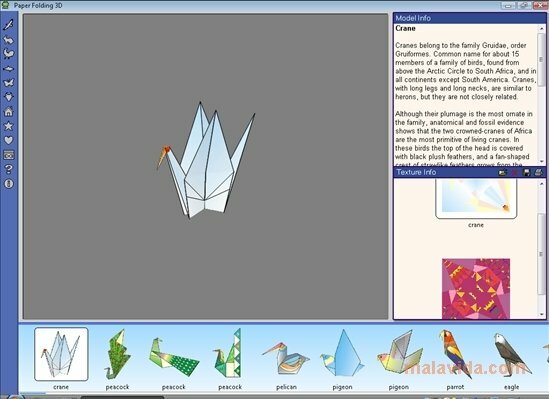 From now on you can have a more in depth perspective of the world of Origami thanks to the great amount of possibilities offered by Paper Folding 3D. 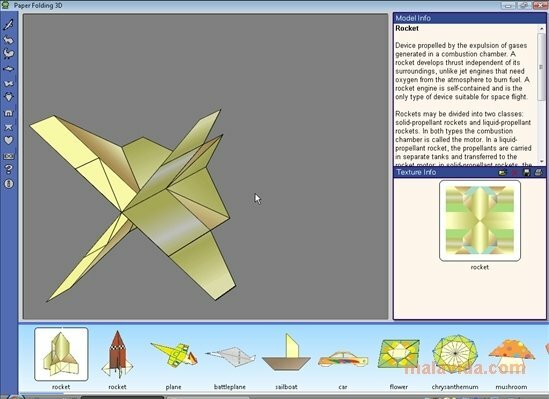 The non-registered version only gives access to 12 models.